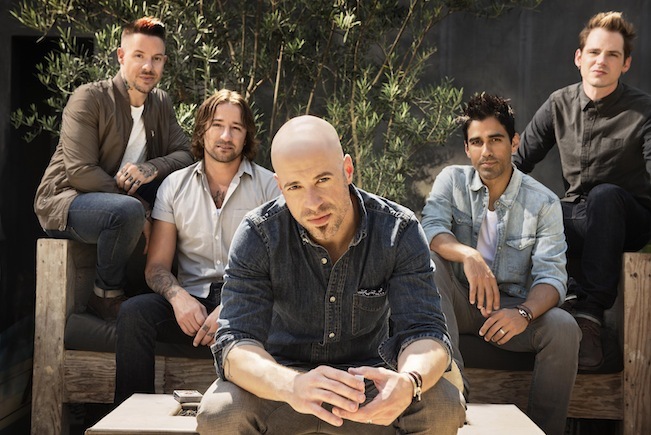 Daughtry will appear at the Mystic Lake Showroom at 8:00 p.m. Saturday, November 22. When the time arrived to make his fourth full-length studio album, Chris Daughtry followed his instincts. Motivated by intensely creative writing sessions with the likes of Martin Johnson [Boys Like Girls], Sam Hollander [Gym Class Heroes, Coheed and Cambria] and Claude Kelly [Bruno Mars, Whitney Houston], the singer, songwriter and musician quickly discovered the direction of his latest body of work. In early 2013, Chris began working on what would eventually become Baptized. Early on, he made a conscious decision to approach the album from a different angle. It would’ve been too easy for him to simply repeat himself considering he and the band have been on quite a hot streak since their 2006 self-titled became the fastest-selling rock debut in Soundscan history. Nevertheless, as an artist/band, they chose to evolve for both themselves and their fans. In between a hectic touring schedule, Chris would fly to Los Angeles for in-studio sessions with Johnson and Hollander or Kelly. It’s easy to hear, feel, and even see that magic on the first single “Waiting for Superman.” Electronics glimmer along with a soft acoustic guitar strum and resounding piano as a cinematic tale unfolds in orchestral pop fashion. It instantly takes flight with one of the vocalist’s most powerful hooks yet and an inspiring story. Perhaps the most shining example of Chris’ evolution is the rollicking and raucous “Long Live Rock & Roll”. Acoustic guitar and banjo charge forward at full steam as he name checks everyone from Elton John and Billy Joel to Mötley Crüe and Guns ‘N Roses, even lamenting “Van Hagar” in the process. He’s ready to proclaim that statement in front of packed venues around the world alongside longtime bandmates Josh Paul [bass], Brian Craddock [guitar], Josh Steely [guitar], Robin Diaz [drums] and new addition Elvio Fernandes [keyboards]. Outside of music, he continues to give back to various charities. He even holds an ambassadorship with DC Comics’ We Can Be Heroes campaign, fighting hunger in underdeveloped countries. Fronted by former American Idol finalist Chris Daughtry, the chart-topping rock band Daughtry will take the Mystic Showroom stage at 8:00 p.m. Saturday, November 22. Daughtry has scored four No. 1 hits, garnered four Grammy nominations, won four American Music Awards, sold over 8 million albums, 18 million singles worldwide and sold out concerts around the world. The band’s self-titled debut was the fastest-selling rock debut in Soundscan history, and their follow up Leave This Town marked the quintet’s second consecutive No. 1 album. Daughtry’s third album Break The Spell was certified gold within four weeks of its release. Daughtry’s latest album Baptized debuted at No. 6 on the Billboard Top 200. For more information and to purchase tickets to Daughtry’s upcoming appearance at Mystic Lake Showroom, head to www.mysticlake.com/daughtry14.